If you have missed any of the previous quotes, you can find them here. Reflections: I really like this quote because it reminds us that to be humble we don’t need to make ourselves look bad or tell ourselves we’re awful. It just doesn’t work that way. 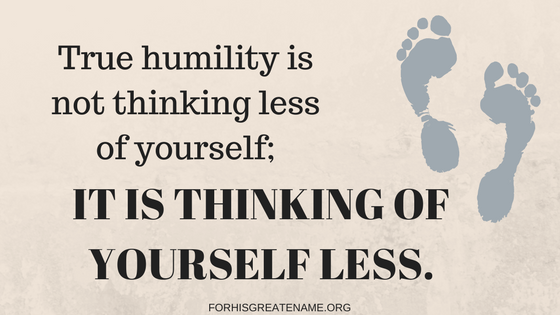 Being humble means that we change our perspective of life and it is a process. As we become more like Christ, we slowly stop always looking inwards and start to look outwards, watching for ways we can help and serve others instead of ourselves. Reflections: This thought brings me so much joy. How wonderful it is to know that Jesus died for me – to save me from my sins. And, He loved me to the point that He would die just for me. Thank You, Lord! Today, we will focus on this one… Reflections: God’s glory is wonderful and it is greater than anything we could imagine. We can glorify God with our actions, but we can not take away from that glory in any way. When we sin, we displease God. When we decide that we want to go our own way and worship ourselves or anything other than God, we hurt His heart. But, it does not mean that we make God any less glorious or any less beautiful. God is still God. 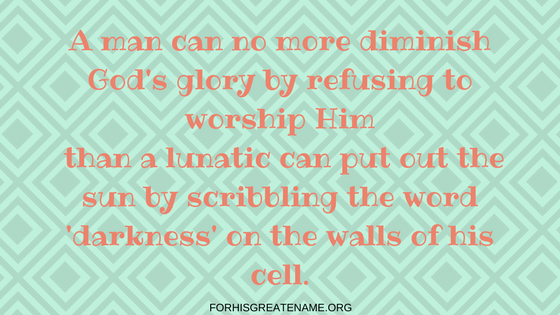 Like the quote said, there is nothing we can do to make Him ‘less God’ or to lessen His glory. Last time we looked at our first C.S. Lewis quote. Here is the one for today. . .
Reflections: Have you ever had a time in your life when you just met someone? I’m sure you have. It could have been someone from school, from church, or someone you just bumped into. What was the first thing that you did after you met them (other than saying your name)? Most likely, you asked them something about themselves – what their favorite subject was in school or what their hobbies are. And, don’t you get excited when you find something you both like? You had a common ground on which you could build your friendship. As Christ followers, we also have another thing in common with other Christians. We have a firm foundation on which we can build our friendship – Jesus Christ. If you and your friend both devote your entire life to the magnification of Christ’s name, you both have the same purpose for your lives. 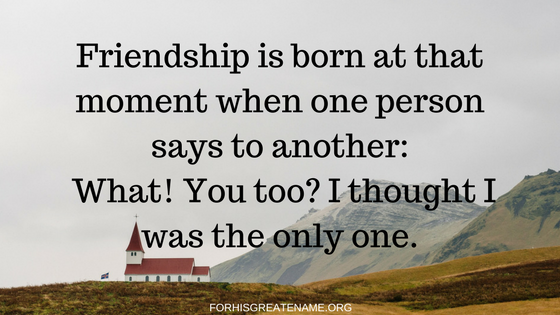 What a great and marvelous foundation for a friendship! 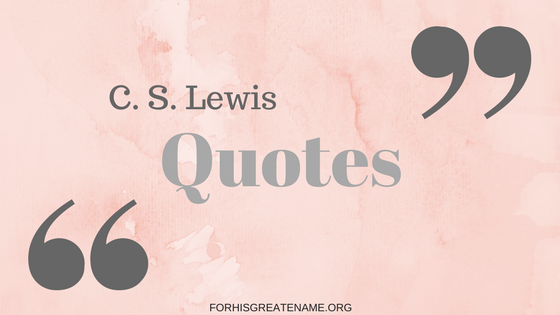 C.S Lewis has some very noteworthy things which we should think about. So, I am going to do a six-part series on the quotes of C.S. Lewis. I hope that you enjoy reading them as much as I did. The first one is . . .
Reflections: Jesus changes everything. 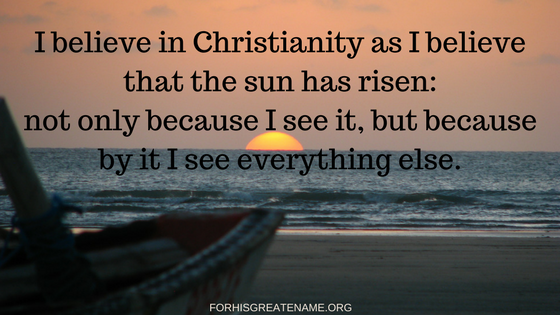 We don’t have to see Him to know and believe that He exists and that He has saved us. I can tell this by the changes in my life: how I can now love others better, my desire to do His will, and how my perspective about the world has changed. Also, you can see God’s work in other people’s lives as well. All of this strengthens our faith in Christ to save us and to do what is best in our lives and around the world. 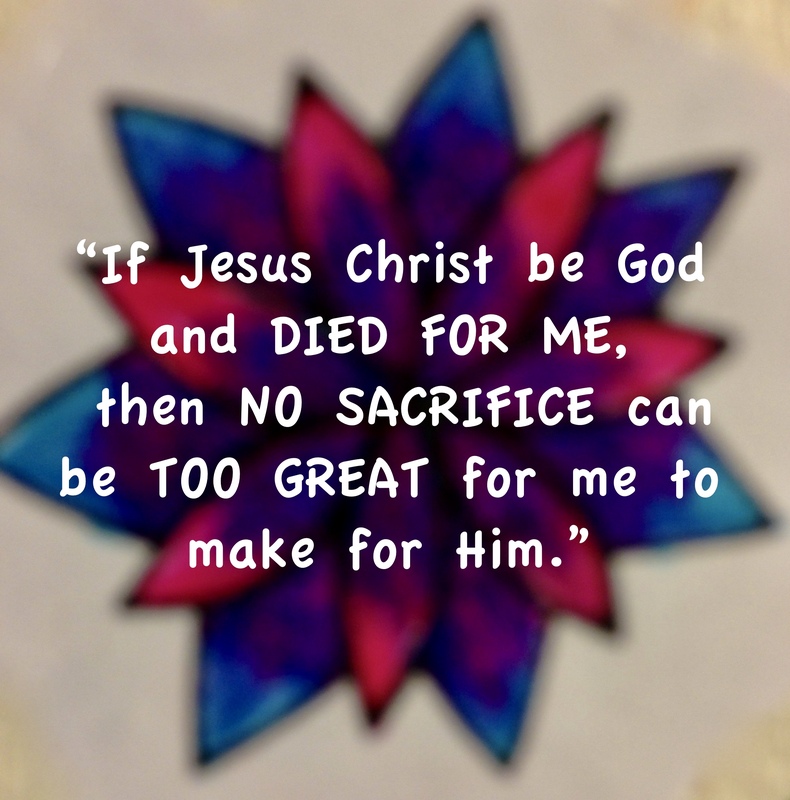 If Jesus be God and died for me, then no sacrifice can be too great for me to make for Him. C.T. 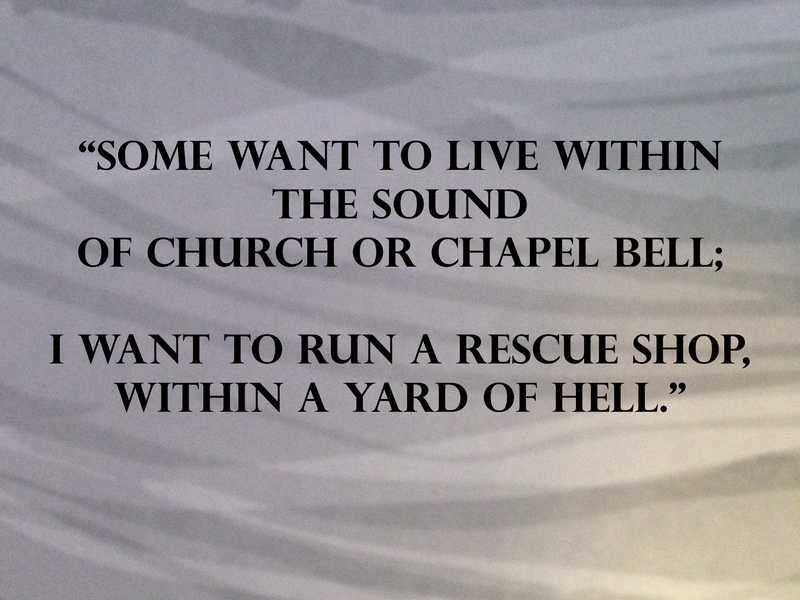 Studd Quotes – #1. 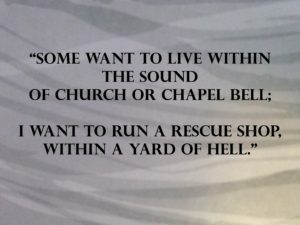 Reflections: Studd says here that he would rather “Run a rescue shop within a yard of hell,” than “Live within the sound of church or chapel bell.” This shows us his heart for the lost and his desire to share the gospel with them. I pray that God will give me the same desire and heart for His children around the world. Life is short. There are a lot of things that you can do with your life. 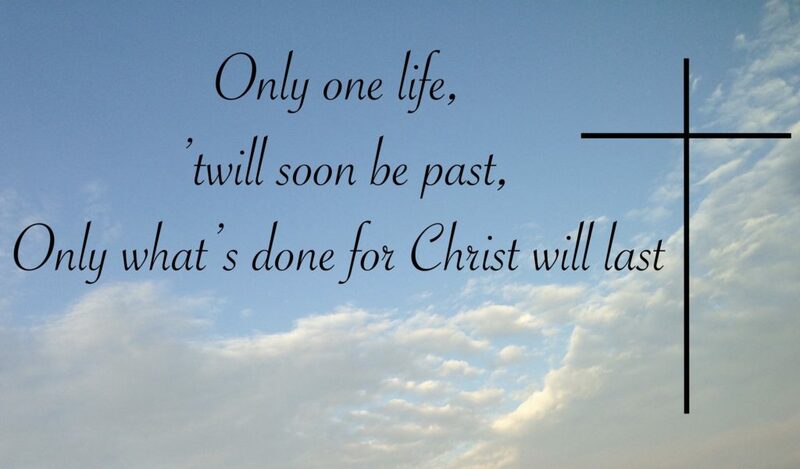 But, only those that will make a difference that will last forever are those that are done for Christ. Reflections: Jesus Christ died for me. 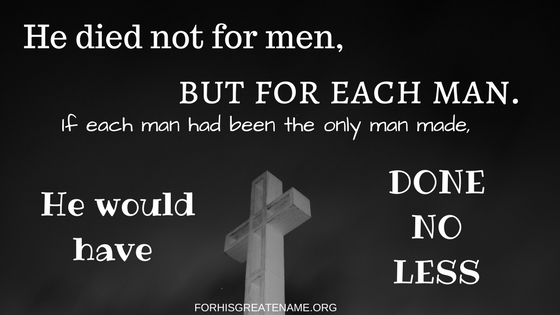 He paid the ultimate sacrifice for me – He gave His life. I should be willing to go wherever He calls me to go and do whatever He asks me to do. I should be willing to live a life that reflects and glorifies Him in EVERY way.